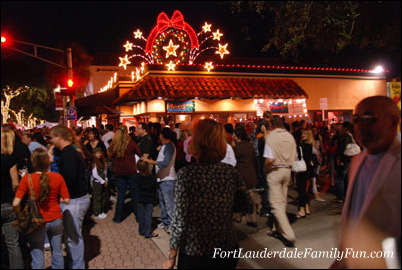 Christmas on Las Olas, part of the Winterfest celebrations, is a very popular one-night event and a real treat for families and anyone living in the area or who just happens to be here for a visit or an extended holiday. 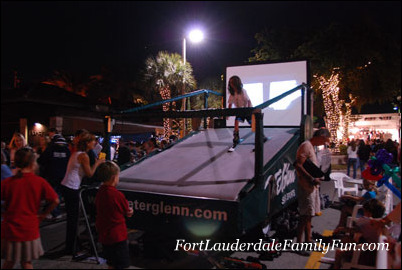 The most elegant shopping street in Fort Lauderdale dresses up for the holidays and celebrates Christmas with a much anticipated end-of-the-year street party. The boulevard is closed to vehicle traffic so people can walk up and down, forward, backward and sideways and not worry about watching out for cars. People have an excited energy in them as they walk, talk, laugh and spend a good time outside with friends and family, and see that others around them are generally doing the same. The shops are open late to show off their merchandise and restaurants and bars are generally filled with guests. But the best fun to be had is out in the street where most of the people are. School choirs give their all by singing popular holiday tunes and live bands or performers play on stages set up just for the occasion. There’s a line if you want your picture taken with Santa. In fact there’s a line everywhere from getting pizza or drinks to getting seated at any of the cafés or getting a hot cup of coffee or chocolate at one of the sidewalk vendors. There are also plenty of fun activities that normally can only found in much colder places. Test your skills in a ski simulator. Don’t miss your chance to sled down a small mountain of snow. And kids absolutely love the “ice” skating rink (yes, here in South Florida)! Wow, this ski thing works! 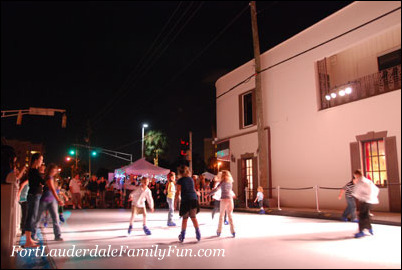 Ice skating on Las Olas Boulevard? Anything is possible with a bit of imagination. 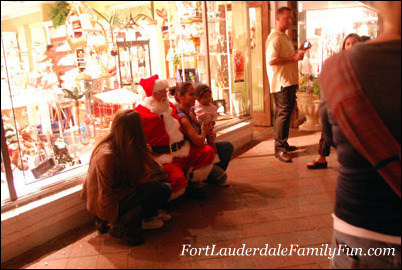 Tell us about your Christmas on Las Olas experience with the family! 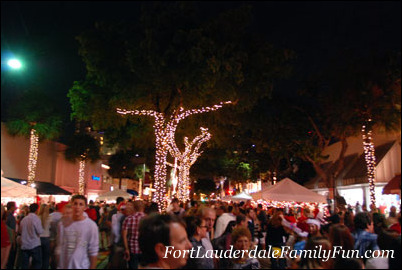 Have you been to Christmas on Las Olas? What was the best part about it? What about the part you didn't like too much? Tell us your story and share it!